Single file racing rapidly set in, with Power comfortably out front. 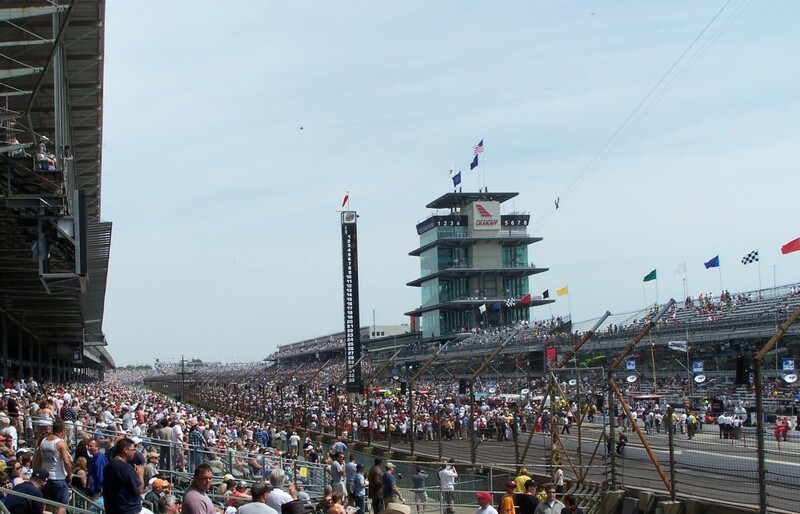 It continued that way until the first round of pit stops, with Josef Newgarden advancing up to sixth while Graham Rahal temporarily passed Herta for fourth as the leaders pitted and cycled through. Soon Herta got around Rossi in turn one as the Indy 500 winner locked up his brakes during a disappointing day. Rahal then went around Dixon for position, but was quickly battled by Mexican rookie Patricio O’Ward in his first race of the year and only second ever. He eventually passed Rahal for position. Power led Herta, Rossi, Newkid and RHR. In a rare Swedish highlight on the day Ericsson got around his much higher qualifying countryman for sixth position, although neither would last. Then Carlin’s O’Ward challenged Rosenqvist and passed him, driving an impressive race but suffering from interminably slow pit stops. On lap 22 Herta locked ’em up going into a turn and was passed by Rossi, who reclaimed second. Fan reaction on Twitter to the first portion of the race tended toward approval, though in reality the passing was largely amongst those coming off pit lane and Power easily lead every lap to that point in a clasic road course snoozer. Leaders Power and Rossi pitted, leaving in the same order followed by Herta, Newgarden and Ericsson. Santino Ferrucci and Ed Jones tangled and banged into each other, with Ferrucci’s car launching over the curbs, sending pieces flying. The midway point saw no changes and still more single file racing until RHR challenged Ericsson for fifth, though he was unable to pass for the time being. Rosenqvist then spun out on his own, but was able to continue on with only a local yellow coming out, as Hinch nearly hit the car in front him as a result. Power led Rossi and Herta, with those three pulling away from Newkid and RHR who were by this point over fourteen seconds behind. Dixon passed O’Ward for position, moving up to seventh while sporting “stay strong New Zealand” stickers on both his car and helmet in support of his home country. He soon passed Ericsson for sixth in his fourth on track pass of the stint. Rossi closed in on Power, who was riding on used red tires versus Rossi’s blacks. In the final third of the race now, Ericsson hit Spencer Pigot as he left his pit box earning the penalty that did in the Swede. Herta pitted with sixteen to go, after dropping back and losing contact with the leaders. A podium finish appeared to be the best the legacy and Phoenix lookalike could hope for at that point in the race. Suddenly hit by Hinch from behind, Rosenqvist spun and crashed into the fence, destroying his nose and bringing out the first and only full course caution of the day. Herta, Newgarden and Hunter-Reay were greatly aided by this development, as they’d just pitted. Power and Rossi – who hadn’t stopped yet – were sunk as a result. Hinch suffered a damaged front wing and tire and limped into pits, along with Power, Rossi and Dixon – the top 3 until the caution. Sour Grapes Power stalled it in his pit with a drivetrain issue, ultimately ending his day. The unlikable Aussie showed his usual lack of class, bemoaning the racing “lottery,” mentioning “hating” the pits closed rule and calling it “crap.” The driver who’d led every single lap became the first out of the race – and only one all day, it turned out. After a typically lengthy yellow, Herta, Newkid, RHR, Rahal and O’Ward were the new top five at the restart with ten to go. Rahal fiercely battled RHR for position as Herta surprisingly pulled away from Newgarden. Frenchman Sebastien Bourdais got around O’Ward as fellow frog Simon Pagenaud and Rossi made contact with Pags suffering damage and being forced into the pits. Continuing his long day, Veach was contacted by the veteran Dixon, “who moved over on him,” according to Paul Tracy. Herta pulled out to a nearly four second lead, amazingly. 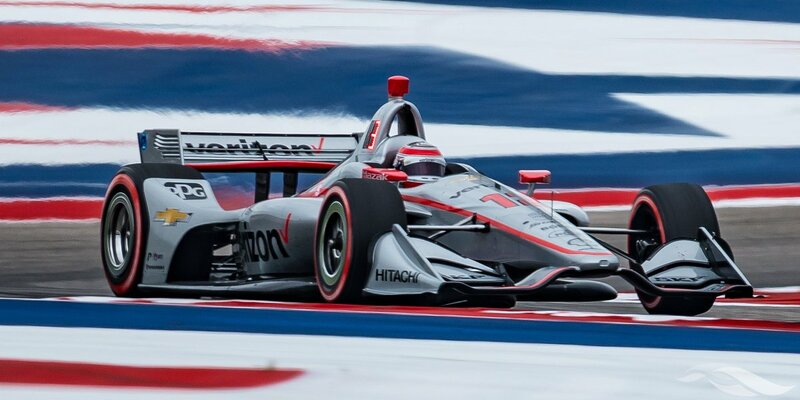 What played out shouldn’t have been so shocking, as the rookie had been quickest in three of the four test sessions at COTA earlier in the month, but it was. Just shy of his 19th birthday, Herta had started out the weekend horribly, blowing a Honda engine during practice and missing valuable track time. Fittingly, in victory lane the exhausted youngster couldn’t remove his steering wheel in order to exit the car and celebrate. He required help. “I need a nap, man,” he said non-chalantly. This entry was posted in Alexander Rossi, Andretti Autosport, Brian Barnhart, Bryan Herta, Carlin Racing, Chip Ganassi Racing, Colton Herta, Ed Jones, Felix Rosenqvist, Graham Rahal, Harding Steinbrenner Racing, Honda, IndyCar racing, James Hinchcliffe, Josef Newgarden, Marcus Ericsson, Patricio O'Ward, Paul Tracy, Ryan Hunter-Reay, Santino Ferrucci, Scott Dixon, Sebastien Bourdais, Simon Pagenaud, Spencer Pigot, Twitter, Will Power, Zach Veach and tagged 2019 season, COTA, IndyCar, IndyCar Classic, IRR, irreverent humor by IndyRaceReviewer. Bookmark the permalink.